I am a huge fan of the Harry Potter books and (yes, I’m a geek) I’ve probably read them hundreds of times. Having purchased the box set of films, I’ve decided to have a Harry Potter rewatch (until we get to the last two films, which will just be a watch as I’ve not seen them), to see if I can learn to love the films as much as the books (doubtful, but I’ll try). I started this rewatch ages and ages ago, and then other stuff got in the way and I abandoned the project. I decided to pick it back up today after news of the death of Richard Griffiths broke. Griffiths was a really talented actor – Pie in the Sky was one of my favourite detective programmes when I was younger, and I loved him in the film version of The History Boys, and only wished I’d been able to see it on stage. His role in the Harry Potter films as Vernon Dursley means he’s never on screen for very long, but he makes the most of every minute. In Order of the Phoenix, like the previous films, Griffiths completely erases any trace of his kind personality and replaces it with Uncle Vernon’s despicable nature. He makes us believe he is Vernon. Order of the Phoenix is a huge long book, much of it filled with Harry’s angsting, and this film does well to cut most of that out. It’s much tighter than the book, although some aspects may have been cut back too much – I’d have liked to have seen more of the fight between the Order and the Death Eaters at the end, and more of Ballatrix Lestrange. Characterisation is really good in Order of the Phoenix, and no one is brought to life better than Dolores Umbridge, played by Imelda Staunton. Wonderfully creepy, she sends shivers down my spine every time she appears on screen, and it’s as much of a relief to see her carted off in the film as it is in the book. 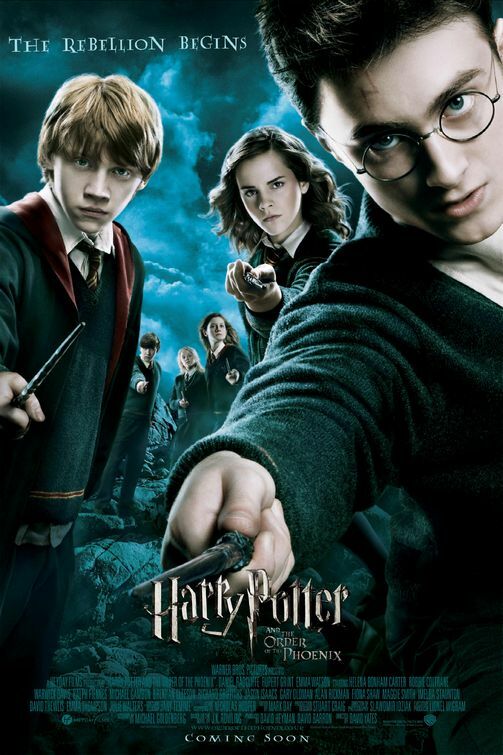 Order of the Phoenix is a great adaptation of the book, and shows just how much the Harry Potter films have improved since The Philosopher’s Stone.